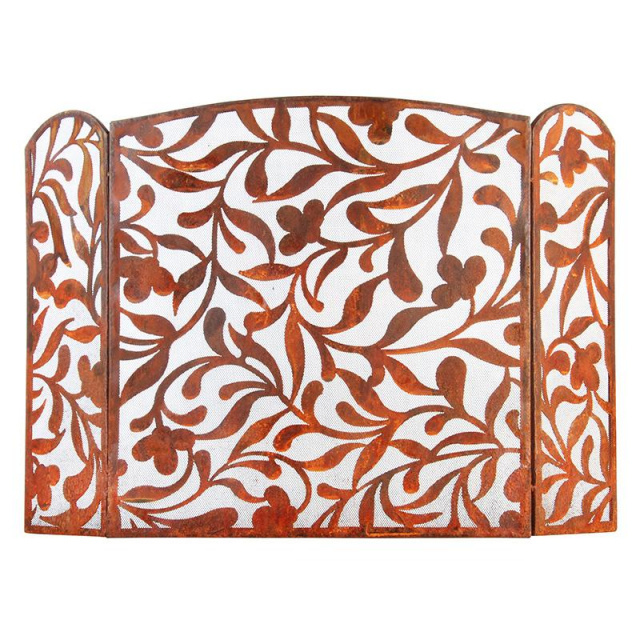 FIREPLACE SCREENS are not just functional; the style you choose is a major statement about your room's decor. 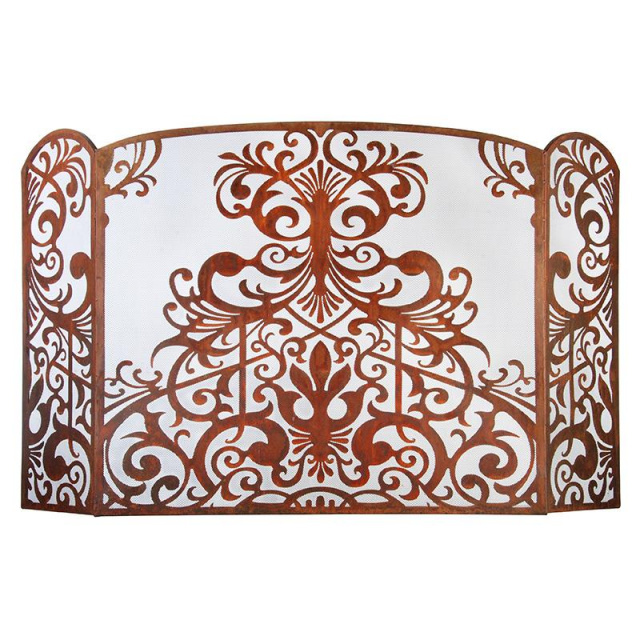 Choose from a variety of styles, sizes and price ranges for standard size fireplaces: vintage bronze & copper finishes, matte black, vintage iron, brass, chrome, pewter and steel finishes. 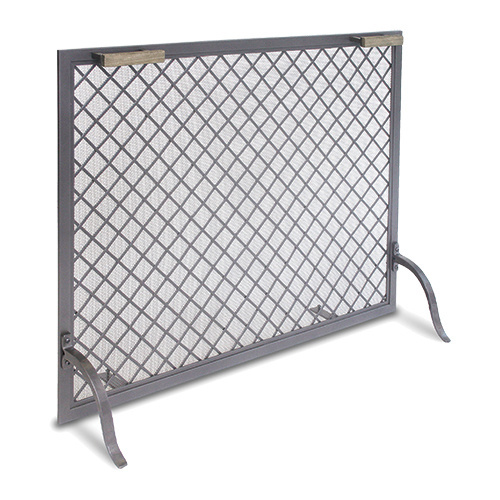 Note: screens without mesh are only suitable for gas logs, electric fires, etc. 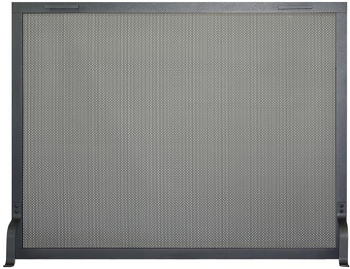 where spark protection is not a concern. 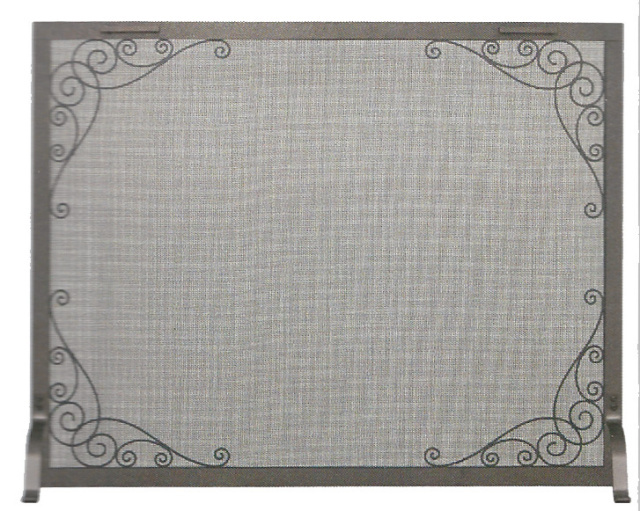 Since we specialize in small fireplaces, we do offer a unique assortment of small fireplace screens, including custom designs made just for us. 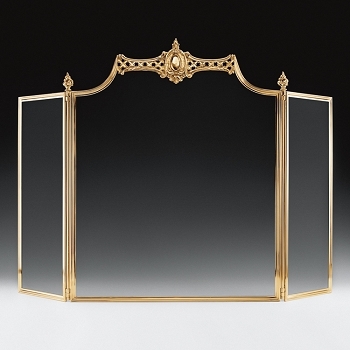 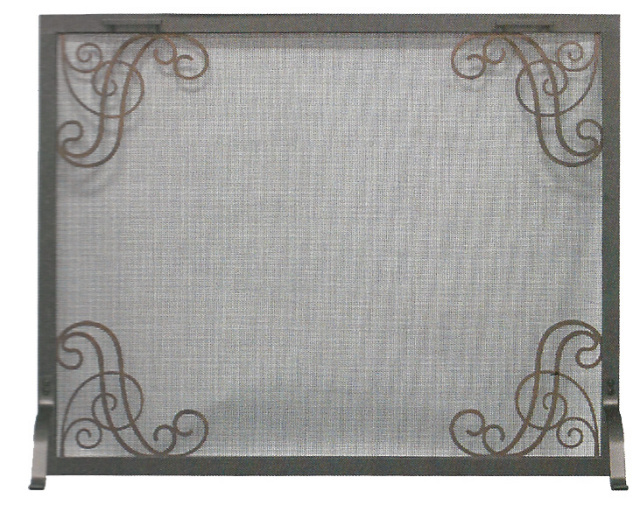 **Single Panel screens should ideally be at least 2" wider and 1" taller than your fireplace opening; this provides a minimal 1" overlap at the top & sides for best spark protection. 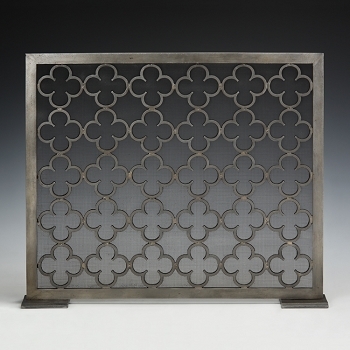 These allow for a snug fit against the fireplace, and does not take up a lot of frontal clearance on the hearth. 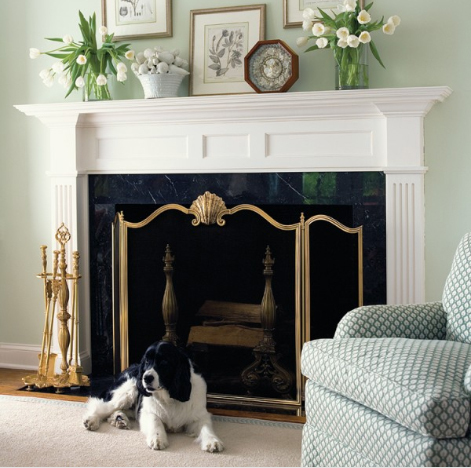 This design frames the fireplace in a simple style and is easily removed for fire tending. 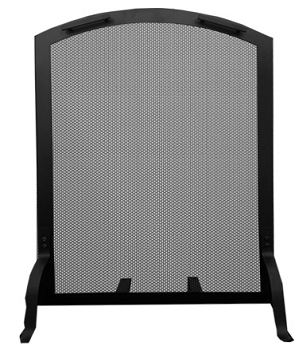 A one-piece flat screen or bowed screen is an excellent choice if you have toddlers and small children in the house; if they fall against the screen it remains rigid and keeps the falling child out of the fire. 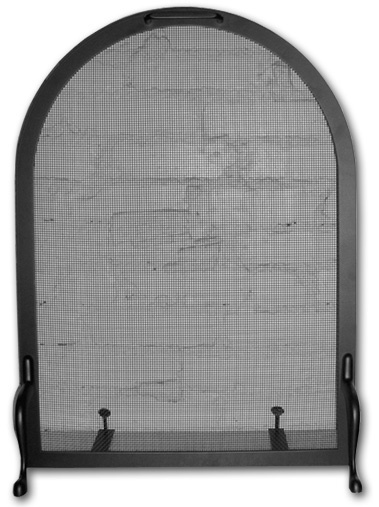 They also help keep toys from being dropped over the screen and into the fireplace. 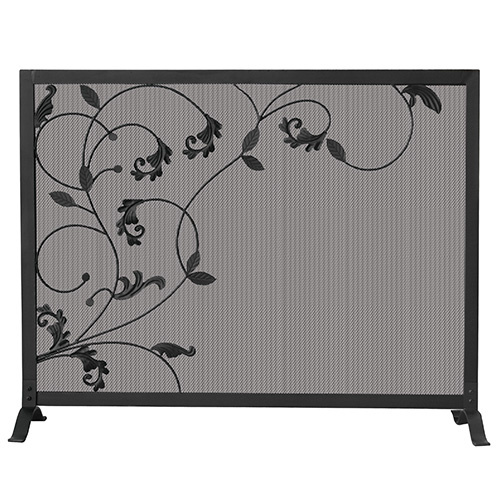 One piece screens also help keep pets away from and out of the fireplace since many kitties like to use the ashes as a litter box. 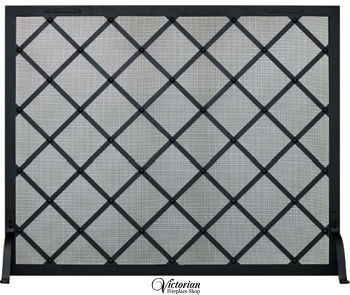 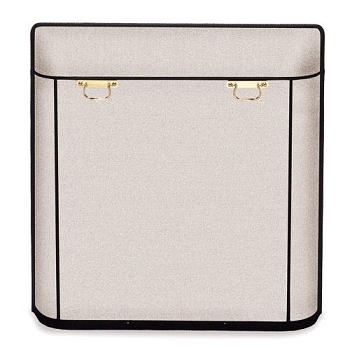 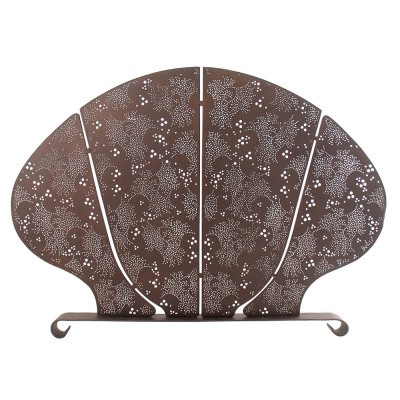 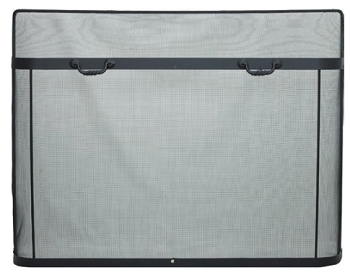 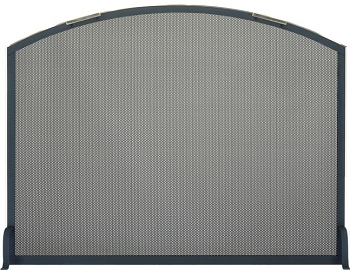 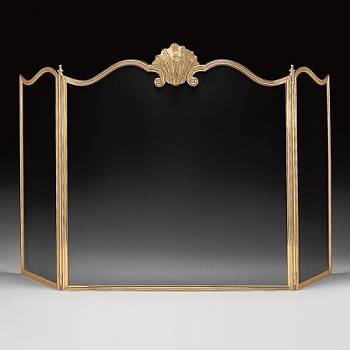 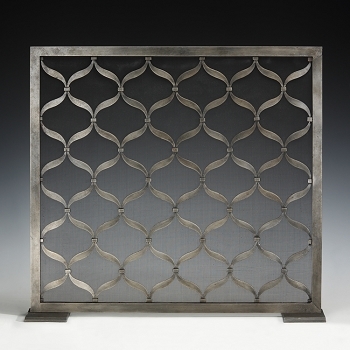 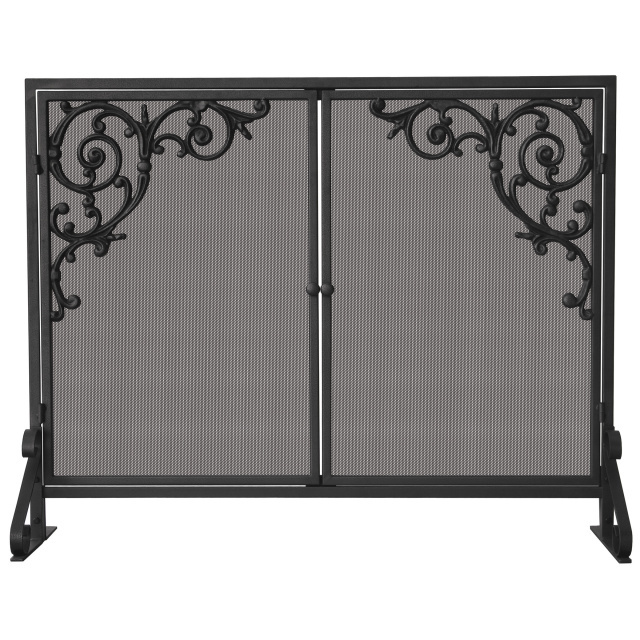 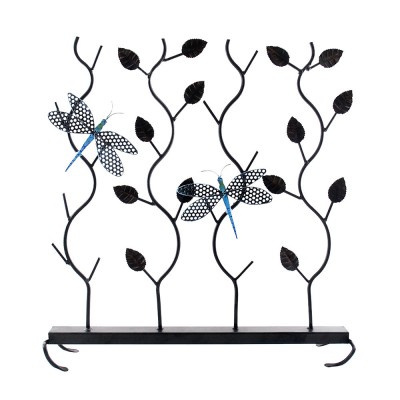 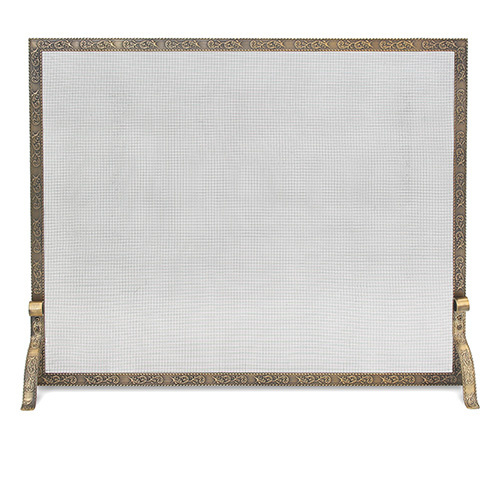 Our higher quality 1 piece screens feature SOLID steel frames and hand welded construction. 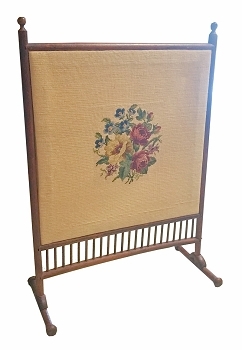 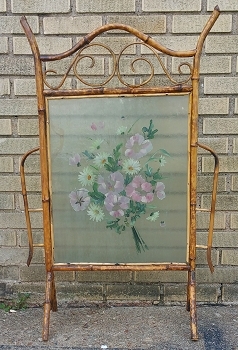 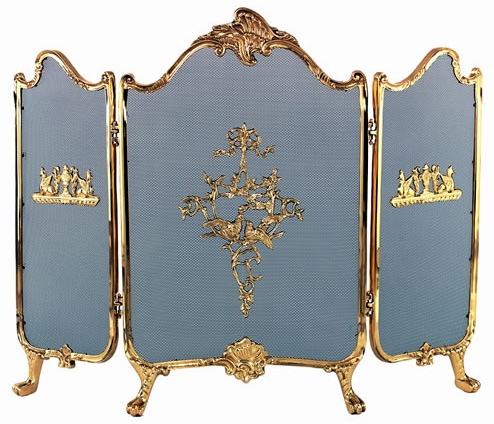 **Folding screens should be at least 10 to 12" wider than your fireplace opening and 3 to 5" taller. 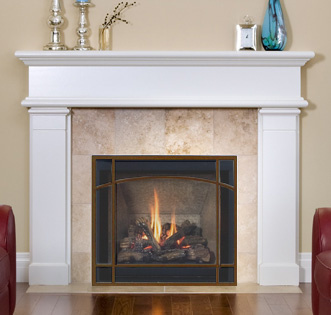 Make certain your hearth is deep enough to accommodate the depth of the screen when placed in front of your fireplace. 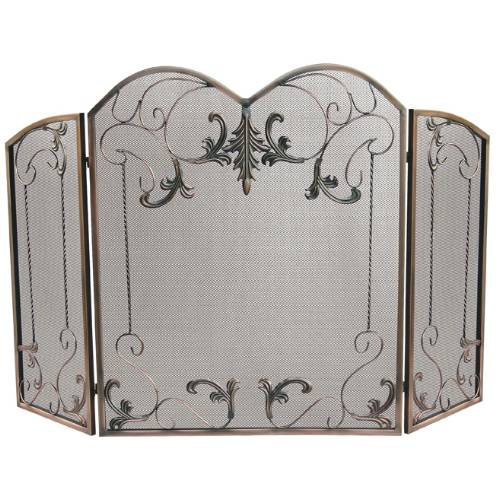 Folding screens will fit a great variety of fireplace openings due to expansive three panel construction which can be adjusted to a variety of situations and homes. 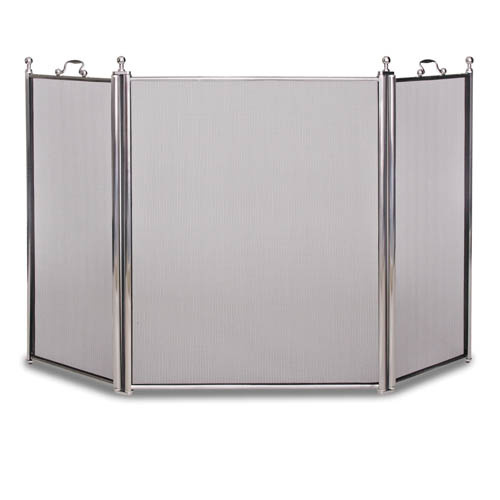 Many screens on the market today have light weight hollow tube construction. 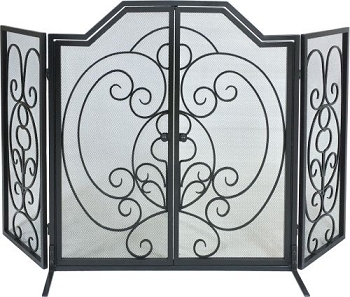 While the screens you see at 10 yards away at discount stores and "big box" stores look nice, they will blow over in a light breeze and they will rust out from the hollow tubes which are not cleaned and powder coated properly at the factory. 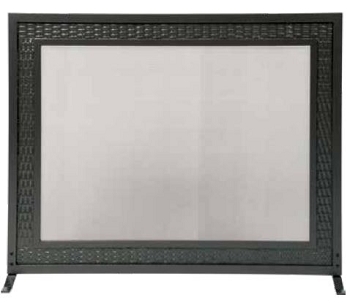 Many of these screens weigh about 7 pounds; they are eye candy in pictures but impractical and will need to be replaced over and over and over again. 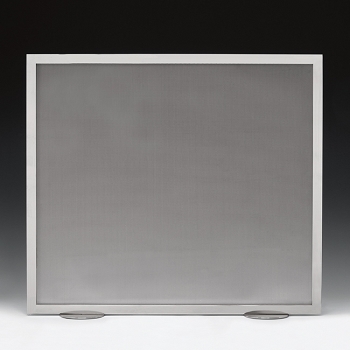 Weight, steel content and construction are very important.